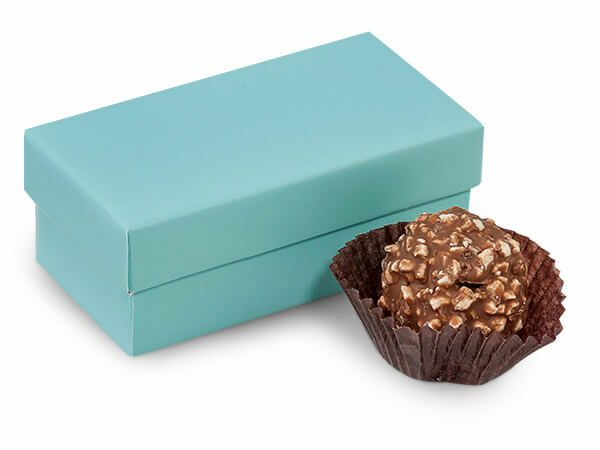 Aqua Blue Double Truffle Boxes for candy gift packaging. Sold in bulk packs of 24! Great for wedding favors! Inside box dimensions are 3-1/4x1-5/8x1-1/4". Boxes are made from 100% recycled boxboard; Green Way® Eco-Friendly Packaging. Made in the USA.